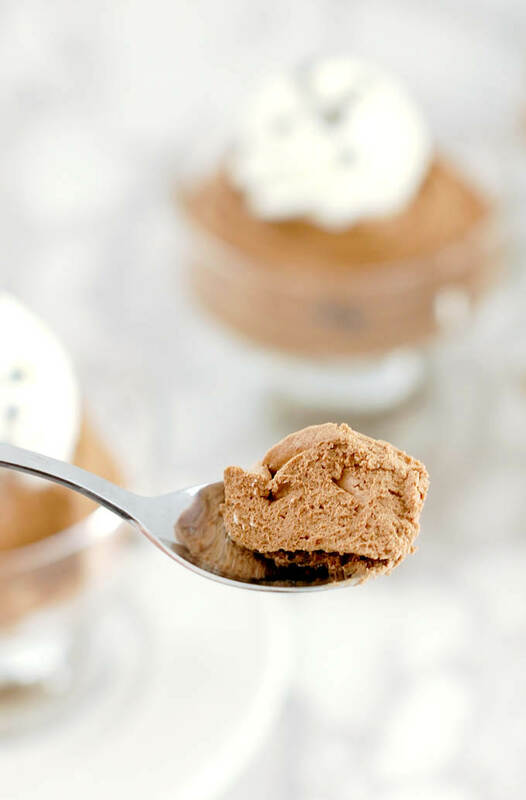 Classic Chocolate Mousse never goes out of style. 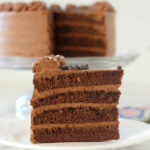 This dessert is the perfect marriage of light-as-air texture and rich, chocolate-y flavor. It just melts in your mouth. 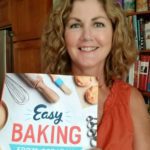 You know I always try to give you a little background and context for my recipes. But, honestly, what is there to say about Classic Chocolate Mousse? 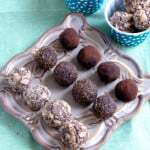 It’s chocolate, it’s light-as-a-feather and it’s completely delicious. And, it’s surprisingly easy to make. 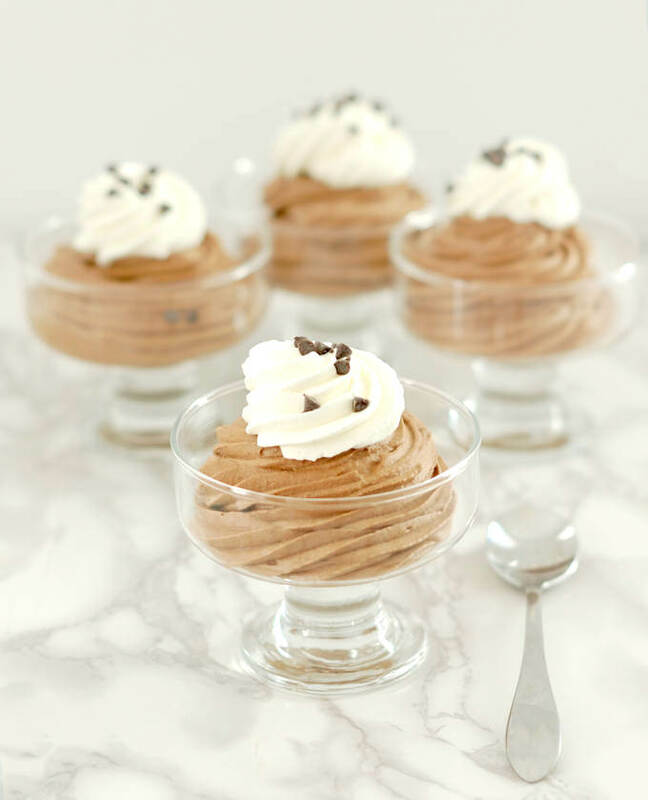 If you can whip cream, you can make chocolate mousse. 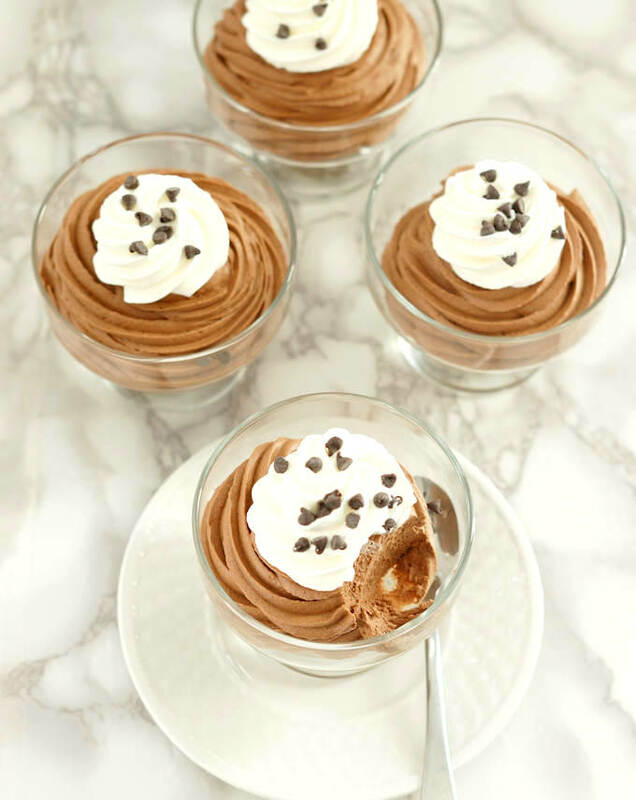 The key to a good Classic Chocolate Mousse is to use good chocolate to flavor the dessert. I like to use a high-quality semi-sweet chocolate (NOT chocolate chips) in the 60% – 70% range. The percentage listed on a chocolate package refers to the percentage of cocoa solids in the chocolate. The higher the percentage, the less sugar in the chocolate. 70% chocolate is less sweet than 60% chocolate. Callebaut is my chocolate of choice, but Ghiradelli is widely available in supermarkets and is a good choice too. 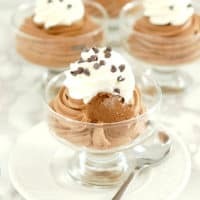 The only other consideration for making a great Classic Chocolate Mousse is to whip plenty of air into the ingredients, and to fold the various components together very gently to retain as much as the air as possible. 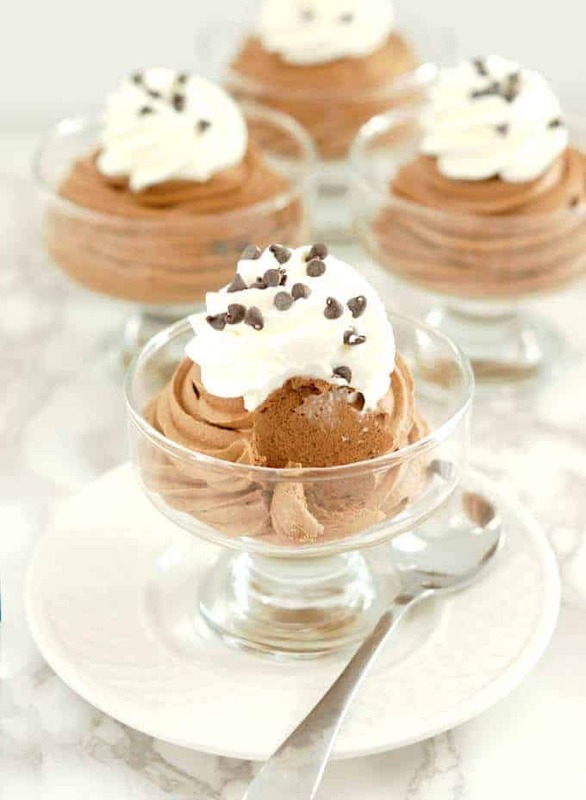 I like to pipe the mousse into serving dishes and top it with whipped cream, as I show it in the photos. 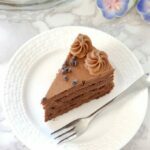 Classic Chocolate Mousse is also a wonderful cake filling. 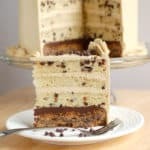 It’s one of my favorite fillings for Chocolate Genoise. 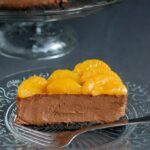 The light and airy texture of the mousse is perfectly matched to the light and airy texture of the genoise. 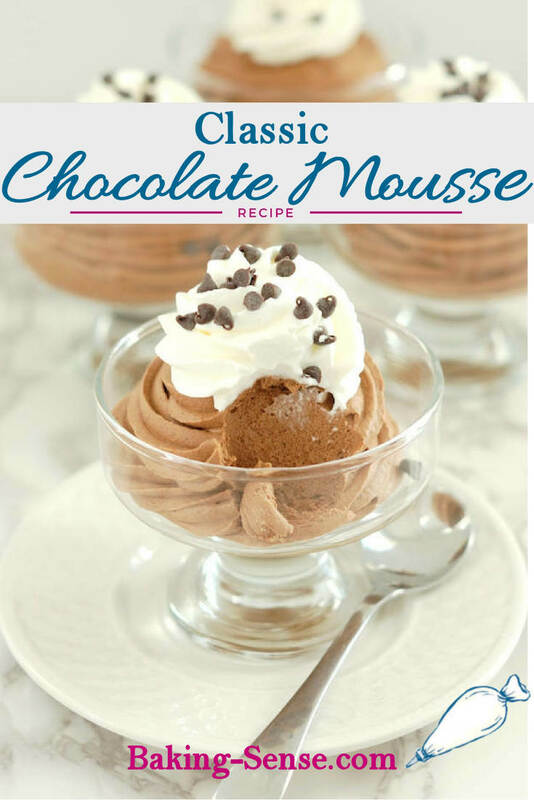 Watch the recipe video to see how to make Classic Chocolate Mousse. 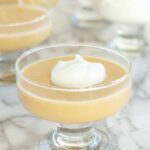 Whip the cream to soft peak and set in the refrigerator while you prepare the other ingredients. Combine the yolks, 1/2 the sugar and Grand Marnier in a mixer bowl. Set the bowl with the yolks over a pan of simmering water (make sure the bottom of the bowl doesn't touch the water). Whisk until the mixture is warm to the touch. Don't throw away the water, you'll use it for the whites too. Move the bowl to the mixer (or use a hand mixer) and whisk until the yolks are completely cooled and have lightened in color and texture. Whisk the chocolate into the yolk mixture in thirds. Fold the cream into the chocolate base. Combine the egg whites with the remaining sugar in a heatproof mixing bowl. Set the bowl over the pan of simmering water and heat to 160F, whisking constantly. Remove the whites from the heat and whip to full peak and completely cooled. Fold the whites into the mousse. Pipe or spoon into serving glasses while the mouse is still soft. Refrigerate until set. Serve with a dollop of whipped cream and some chocolate shavings or fresh berries. If using this as a cake filling should the cake be refidgerated? Yes, because of the cream it should be refrigerated. 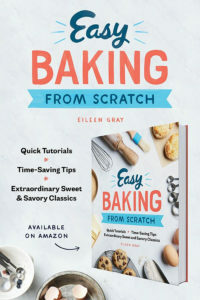 You can take the cake out an hour or two before serving to soften up a bit.